Categories: AC Power, Brands, High Power DC Power Supply, Power Supply, Programmable DC Power Supply. Preen’s ADG series is a programmable DC power supply with high power density and high output power, offering great response time, high accuracy and many output voltage and current combinations. 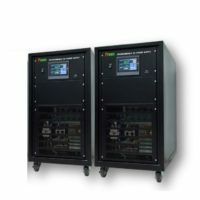 Designed for the increasing demand of high power DC, ADG is ideal for testing EV’s motor/compressor, server power supply, fuse/circuit breaker/contactor, and PV inverter or can be used as a facility power or EMC chamber power. With output power up to 100kW per unit, the ADG series offers output voltage up to 1600V and output current up to 2000A. 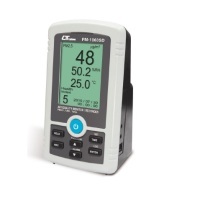 Users can select standard RS-485 interface or optional RS-232 and GPIB. 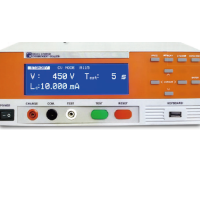 The STEP and GRADUAL modes allow easy setup on test sequence and depending on CV/CC settings and load conditions, ADG series can operate as a current or voltage source. Its remote sensing feature can effectively reduce voltage drop caused by cable length and provides more flexibility on installation. Programming Sequence Function: STEP and GRADUAL modes allow users to easily set sequences of start/ end voltage, run time and current for testing purposes.